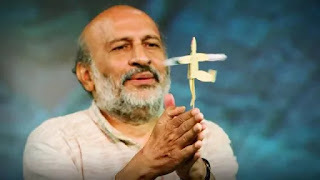 PUNE: Arvind Gupta, a Pune scientist who is known for making toys from trash, has been conferred the Padma Shri award in Literature and Education (affordable education). Gupta, who has been in Chennai with his grandson for the past one year, told pune-news.com over the phone: "It is a big honour, it feels great that my work has been recognised. Whatever little I could do as a part of my job, has been honoured by my government." Thanks to his 'Toys From Trash' project, Gupta has been responsible for revolutionizing the way the world looks at waste. A frequent TED and INK Talk speaker, he has popularized science among children by transforming common household items and garbage into learning toys and building blocks for scientific experiments. "I have always enjoyed whatever I have done and I will continue to different things. I have been in Chennai for almost a year now, taking care of my little grandson. I also translate a lot of books. Moreover, I am invited by several schools in Chennai, where I try to spread knowledge," Gupta said. He has inspired generations of students to learn science from trash. Well-versed in Newtonian laws and the concepts of pressure, magnetism, force, vectors, angles, geometry, Gupta infuses life into newspapers, caps, matchsticks and many such common items. Over a period of four decades, he has visited more than 3,000 schools, made 6,200 short films on toy-making in 18 languages and has provided free books on his website in 12 languages. His popular TED talk - Turning trash into toys for learning - is among the top 10 globally. Gupta is an alumnus of the Indian Institute of Technology, Kanpur.